Confused as to which buttonholer to buy? Many listings on the internet may only tell you "slant needle" or "vertical needle". That is just not enough information, especially if you have a slant needle. So, let's take this step by step. Vertical Needle - That is enough information, so long as you have a zigzag sewing machine. 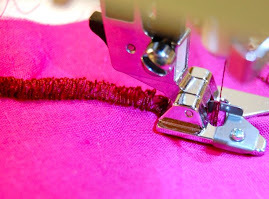 A straight stitch will not produce buttonholes using the Professional Butthonholer. It is the machine that creates the zigzag, not the attachment. If you are looking for a buttonholer for your straight stitch machine, they are the older models. For the Vertical Needle, Professional buttonholer, there is only one plate to worry about. It is #86748 and will screw onto your sewing machine bed using a small screw (which should be included). Slant Needle - To just tell you it fits "slant needle zigzag machines" is not enough information at all. There are two different feed cover plates, depending on your machine. Each is machine specific - can't fudge on this one. The plate to the far left is #161825 and is for the Touch & Sew and Slant-o-Matic machines with an elevator throat plate. It is for models 401, 600, 620, 630, 640 series. 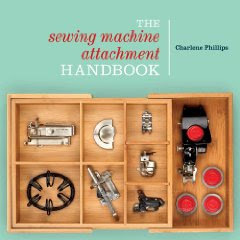 There is a lever on your sewing machine which raises and lowers your throat plate. You raise it, take out the regular one, and slide this one in. The middle plate is again for some Touch & Sew machines but they have magnetic throat plates. It is # 507661 or the replacement #381115. It an also be used on the Futura models. This plate is for models 700 and 900 series. The far right plate is for Vertical needle zigzag machines and is #86748. Notice the difference in the two left plates. One has an endented area and the other has open holes for screws. This is a crucial difference. Now that you really know what to look for, your purchase will be much easier AND you will have a buttonholer you can use, not just be put in the closet because it won't fit. They are all very simple to use and the templates can be changed quickly while it is on the machine. That is different from the earlier buttonholers where you have to actually take it off each time. To use, open up the cover and place in your template cam. Close the cover. 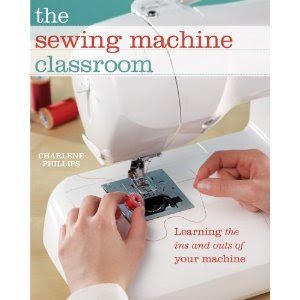 Set your machine stitch and you are ready to sew. Just have fun and practice. I also tried a corded buttonhole. It turned out nicely with this buttonholer. I do like the Professional Buttonholer when using my Singer 401A, as it really gives me a nice looking buttonhole and there is a huge variety of templates. Practice - buy the right one - and have fun! I have the Professional and absolutely love it. It makes better buttonholes than my Bernina! 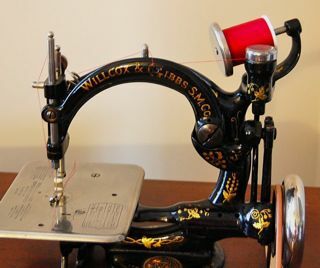 Right now I'm using the vertical on my old Singer Genie until I get a slant-needle machine set up just for buttonholes. It is fabulous, isn't it? That is good to know the vertical plates fit on the Singer Genie. Thank you. I have now identified the buttonholer I found at the thrift shop. A trip through a flea market or thrift store is like a fabulous treasure hunt! Glad your's is not identified and hope you enjoy using it. I have the manual and will scan it and post it online free. should get to it later today. If you check my website www.thesewbox.com and go to the section for Instrucations - FREE, you will find it there. 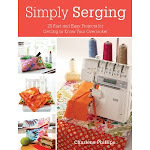 I will also be posting the manual for the Singer hemstitcher. I have a Singer 533. What do I need to purchase to make a decent buttonhole? I do hope someone finds you for a swap. It can be very confusing, and I am certainly glad the article helped for future buys. Hoping someone gets in touch with you. Where can the plate 161825 for my 401A be purchased? At times I have the plates for sale on my web site www.thesewbox.com. I don't have any at the moment, however if you email me at charlene@thesewbox.com I will be able to let you know when I do get one. Other places can be on ebay, or etsy, or another online auction site. Check your local thrift stores, yard sales, and other second hand stores and you might get lucky. You can only find the vintage, and are not sold as newer reproduction items. The plate for the buttonholer and monogrammer will be different than an embroidery plate. Others out there with the 403 want to chime in? Hello, thank you for the explanation re the singer professional buttonholer. Seems very straightforward, except that I have a 403 and I didn't see where you mention which plate it would use. I have the buttonholer, but it has the plate for the 700 and 900 models. Do I use the same one that the 401 uses? Your site is wonderful...thank you!!! Charleen, thank you so much for this. I have an unusual model -- a Singer 611G. It has magnetic needle plates (3 - straight, chain, and zigzag). I normally think it will be just like the 400/500/early 600 series, but this post makes me think I should get the one for the 700/900 series. It is hard to know before you take the plunge! Thanks anyway and I'll try to report back which one works. Please let us know what you find out - truly helps us all! Hi Charlene and thanks for your great blog. Also thank you for the Singer attachment reference guide which I have purchased. I'm trying to find if I can use a Professional buttonholer with a 319K, 206, 306K or 320K machine? I read your page (and various others) on buttonholers and can't get a clear answer. Are the "swing-needle" 306 series machines referred to as "vertical needle low shank" machines? Can you advise what buttonholers fit them and what feed cover plates are required? Thank you. Swing needle refers to the zigzag stitch, and vertical will mean up and down (vs the slant shank). Not sure whether the Professional will fit on the machines mentioned due to the plate. As you see in the post, the plates must fit the needle plate type, and at times, also the holes to attach. I have not seen a plate mentioned anywhere for these Singer machines - anyone out there add to this? Sharing with each other is the best way to keep learning! Glad the Singer Reference book is valuable for you! I keep adding to it, and have notes in all the margins. Now for the time to add/revise. Thanks for reading. This may sound minimal, but did you remove the original/other plate before adding the buttonhole plate? You certainly should get more than that in clearance to put fabric under. Email me a pic directly at charlene@thesewbox.com and will see what is going on. 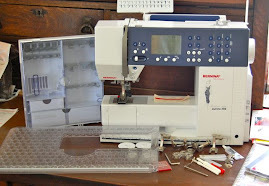 I have a Bernina 530 record, anyone knows if the professional buttonholer works fine with it and what kind (slant or vertical) I need? For your Bernina, you will need the vertical (low shank). You may also need to have a low shank adaptor. The adaptor allows your Bernina to accept low shank (vertical) attachments. 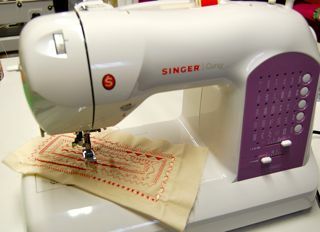 If I can find feed cover plate 161825, can I use my Singer Professional Buttonholer for vertical-needle zig-zag sewing machines (V102878) on my Singer 401A? Can Singer 'Professional Buttonholer' be used on low-shank machines (white 951, white 1260C)? Didn't realize it was for slant-needle machines. If yes, how can I make monograms/embroidery with it?